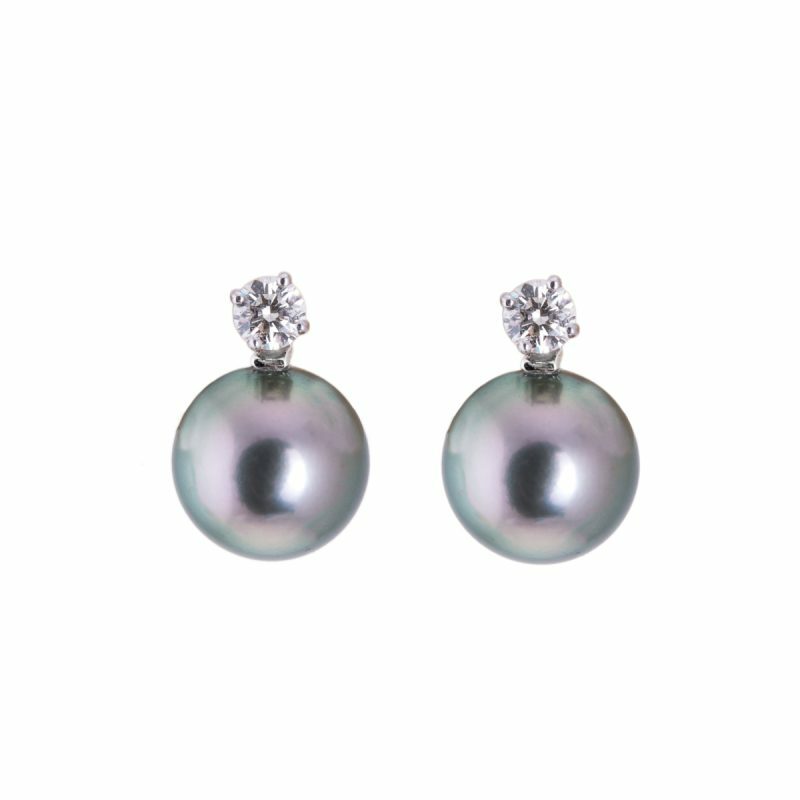 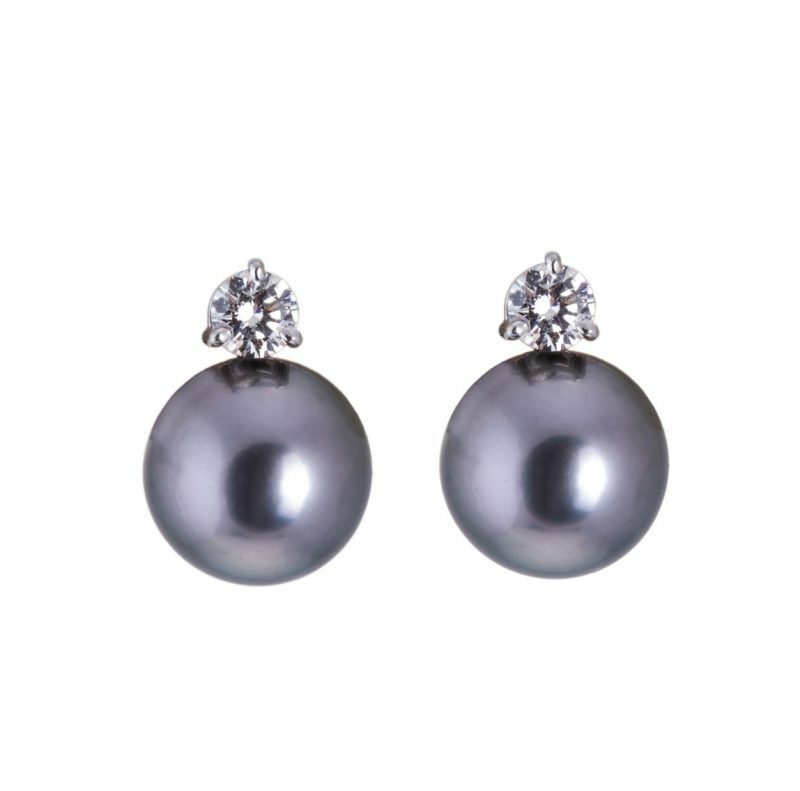 Black Tahitian pearl and pear cut diamond earrings mounted in 18ct white gold. 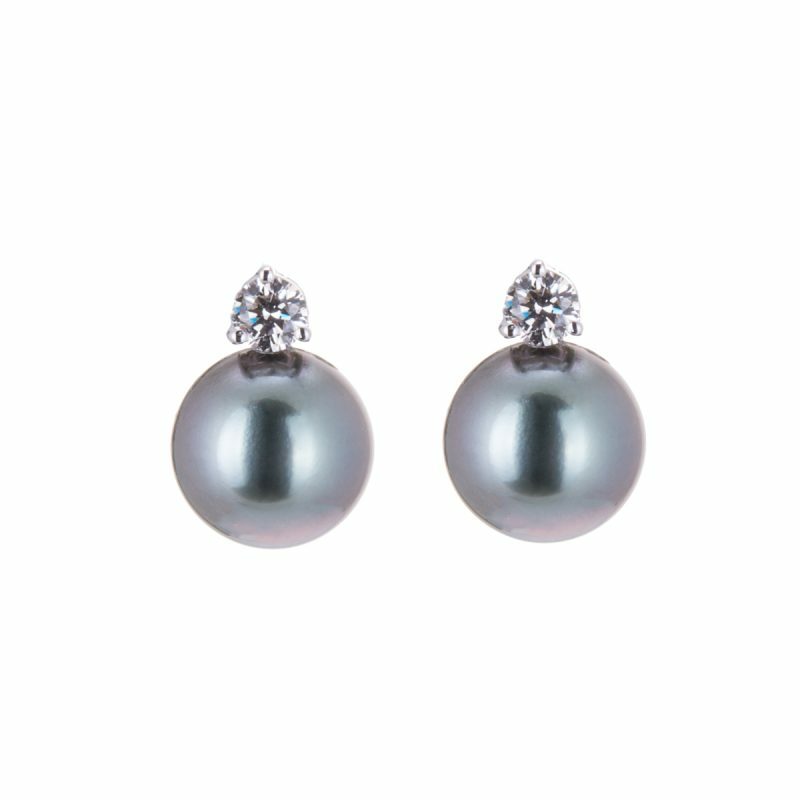 For those who prefer a darker palette, these black-dark grey Tahitian pearls, their lustrous tones contrasting with the brilliant fire of matched rare white, pear cut diamond. 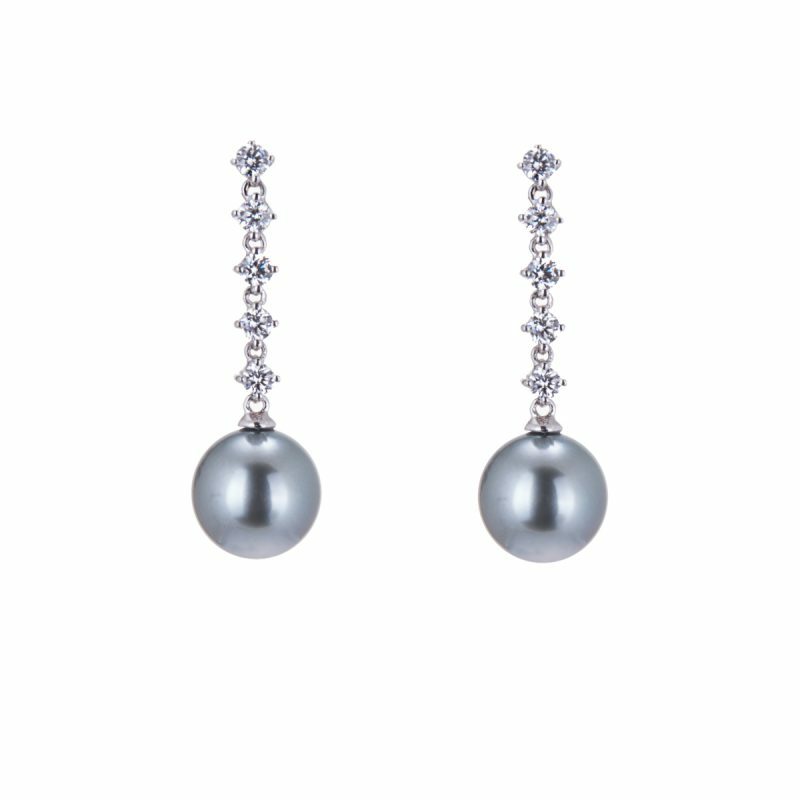 With 18ct white gold claw set diamonds with post and butterfly fittings. 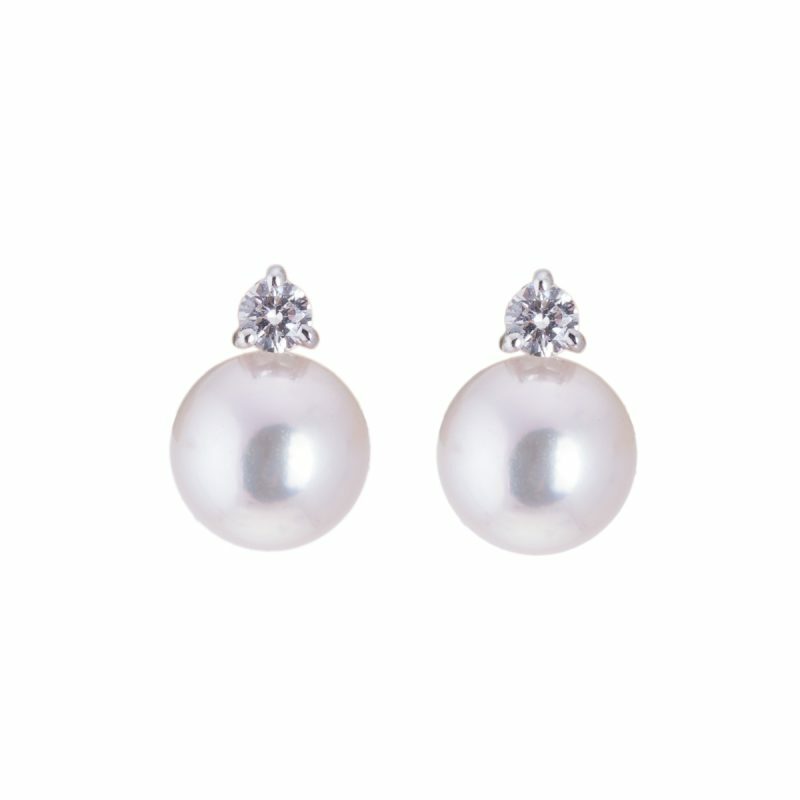 A sophisticated choice for any woman who loves elegant jewellery.